The sleep application is aimed at all health professionals whether they’re sleep specialists or not. The reliability and ease of use of “Lausanne NoSAS Score” helps better targeting those requiring further testing to confirm a sleep disorder. The CHUV is one of the 5 university hospitals in Switzerland. Thanks to its collaboration with the Faculty of Biology and Medicine of the University of Lausanne, the CHUV plays a European-wide role in the fields of medical care, medical research and training. Would you like to know more about the CHUV, the study that allowed the design of the application on sleep or the quality approach? Do not hesitate to directly contact the CHUV of Lausanne. 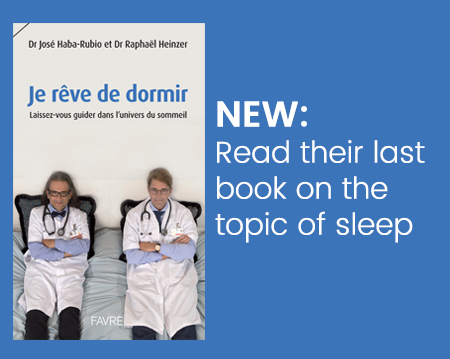 Specialised in sleep medicine, Dr. Raphaël Heinzer created the Center for Sleep Investigation and Research in 2006 with Prof. Mehdi Tafti to work on the treatment and research around sleep and its disorders. Dr. José Haba Rubio studied medicine and specialised in neurology. He obtained inter-university degrees on the sleep-wake cycle and on neurovascular diseases as well as a university degree on migraines and headaches. 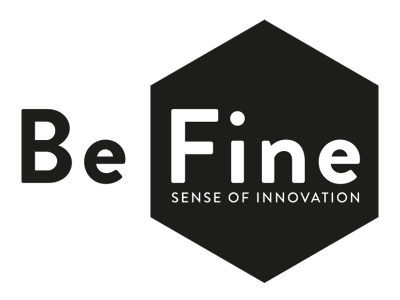 BeFine is an agency that puts common sense at the heart of its innovation processes. The BeFine agency is specialised in the healthcare sector works hand in hand with several customers in Switzerland. Learn more about the projects BeFine carried out in software and application editing, digital transformation and digital marketing ! The CHUV in Lausanne carried out an analysis of more than 3,000 people living in Switzerland and Brazil since 2013 to identify criteria for assessing the risk of sleep apnea. From this study emerged the 5 key criteria for detecting sleep apnea. Learn more about the Hypnolaus study and the Lausanne NoSAS Score.